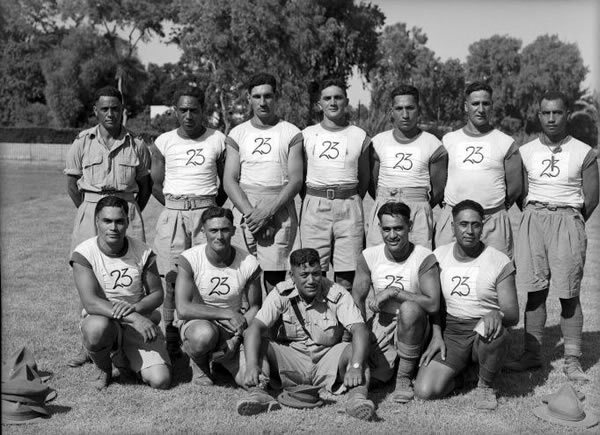 The Māori Battalion team that won the tug of war at the 2nd New Zealand Division athletic championships in Cairo, 11 August 1943. Back row, left to right: W. Kio, W. Phillips, Steve Urlich, Charlie Norris, D. Lazarus, Tom Noble, T. Titi. Front row: Tui Crawford, K.Allen, Captain Peter Awatere (coach), J. Epiha, R. Arena.